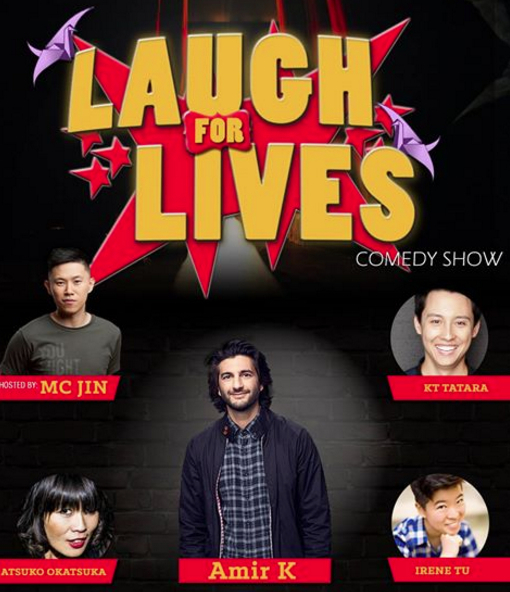 SAN FRANCISCO — Asian American Donor Program’s 10th annual comedy show benefit, Laugh for Lives 2017, will take place on Friday, Feb. 24, from 8 to 10 p.m. at the Palace of Fine Arts Theatre, 3301 Lyon St. in San Francisco. The list of performers includes Amir K, KT Tatara, Irene Tu, and Atsuko Okatsuka, with MC Jin as host and special guests from the San Francisco community. Join everyone for a special after party in the city. More details to come. Tickets start at $30. Tickets for show and after party start at $40. Special early bird and advance group pricing are available now. Get your tickets while quantities last. For info, go to www.aadp.org/lfl17. AADP is dedicated to increasing the availability of potential stem cells donors for patients with life-threatening diseases curable by a stem cell transplant. The community-based nonprofit organization specializes in conducting outreach and donor registration drives in and with diverse communities. AADP is an official recruitment center of the Be the Match registry.